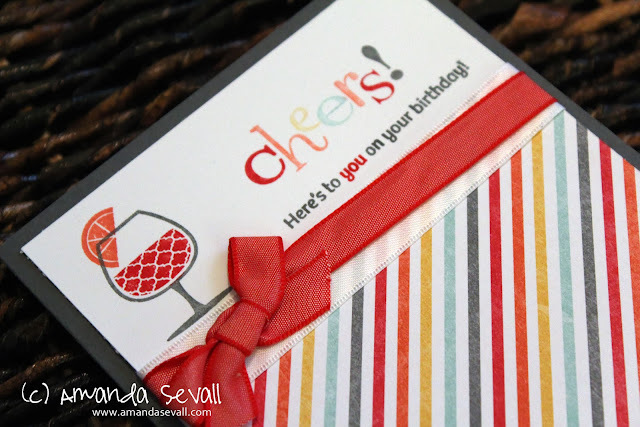 Amanda Sevall Designs: 365 Cards: Cheers! Here's to You on Your Birthday! 365 Cards: Cheers! Here's to You on Your Birthday! I have decided that I don't use patterned paper on my cards nearly as often as I should. And I'm not sure why I don't?! I love the colors in the I Am Me Designer Series Paper.... the patterns are fun, but the colors are some of my favorites. For this card, I just pulled colors from the pattern to coordinate the ink I used for the stamps. 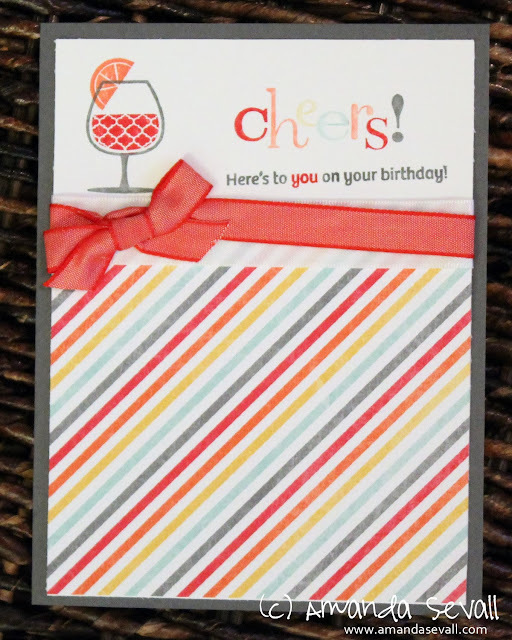 Do you use patterned paper to make your cards or do you use only card stock? How do you stamp the different letters different colors? Pens? That's what I thought! It's a fun look. This is fabulous! LOVING the colors and that drink!!!!!!! Really pretty! I love the colours! I use my patterned paper scraps for cards...hoping to use them all up! I love the way you did the stamping with pens! The technique looks awesome here on your wonderful and festive card! I especially love the color scheme and cute sentiment!